- only 4 legs. I know I am missing two. This dragonfly has had an accident. - Plenty of SNOT techniques to make the slim body stable. My 5 year old built this almost without any help yesterday with the PDF instructions. 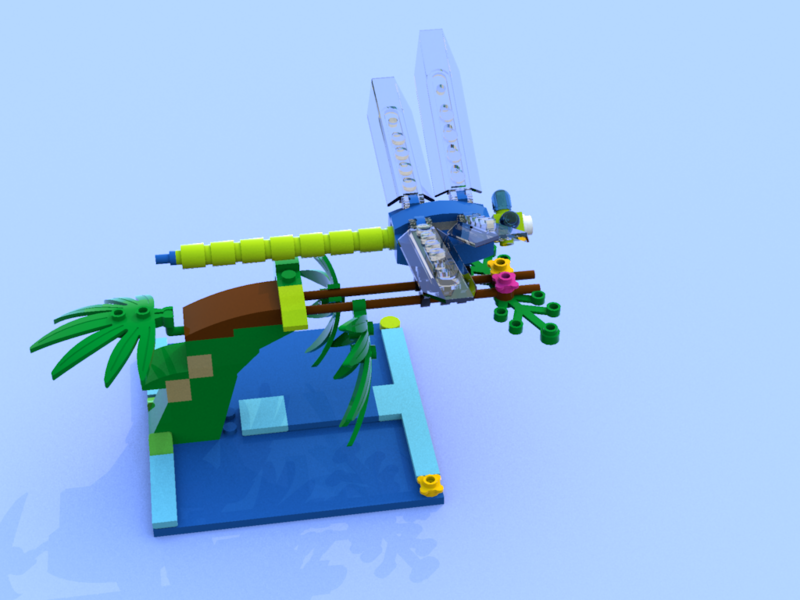 This is my second dragonfly - click on the image below to see more images of the previous one.